The firefighters immediately scrambled to save the firetrucks. There was already 6 inches of water in the station but the men could hear the water raging past the firehouse right outside. When they opened the garage door, 3 feet of water poured into the firehouse. Somehow the firefighters were able to get two of the five vehicles out of the garage to a hill where they set up a mobile command center. Safely on high ground, the Moonachie Volunteer Fire Dept. launched a rescue effort that would make both the local and national news. Using only small boats, the remaining two fire trucks, and true grit, they would relocate over 1,500 Moonachie residents over the course of the evening. Not a single life was lost. 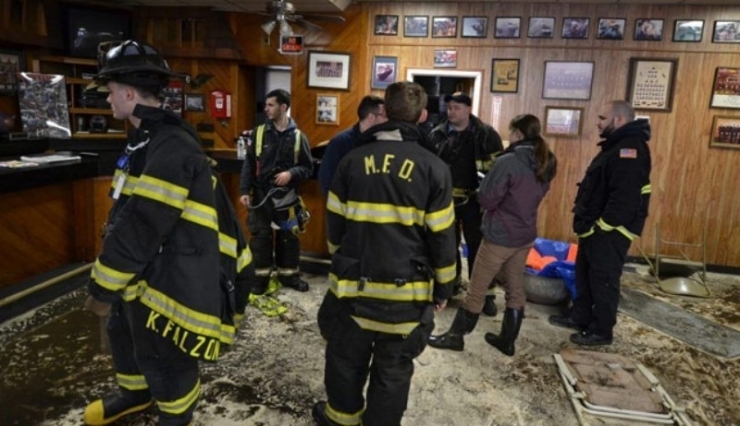 When the water finally receded, they returned to their firehouse to assess the damage. Moonachie Road Firehouse was completely destroyed. Water levels at the firehouse had crested at 6 feet. The gear, equipment, radios, vehicles, and tools they desperately needed to help the residents of Moonachie were washed away. Even worse, many of the firefighters' own homes had been destroyed. "We're working with a minimal amount of equipment. Everything was destroyed. You won't believe it but we're about to get hit with a snowstorm, sustained winds at 40 mph, it doesn't stop. When I came to work today, I didn't even have gloves." 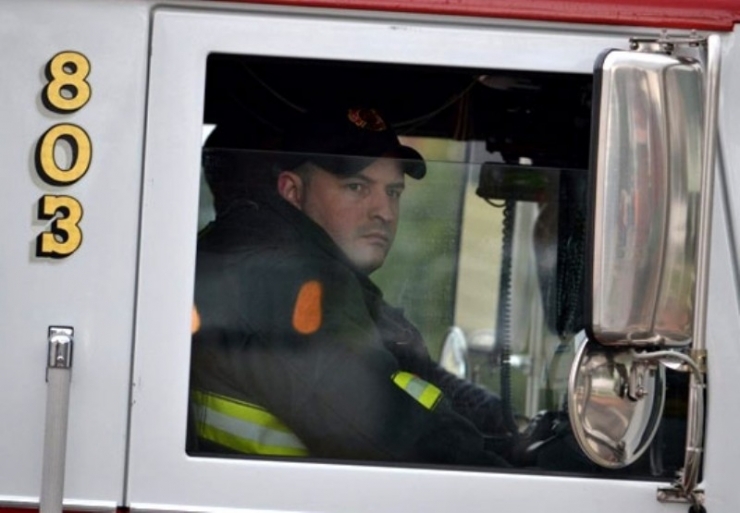 I asked another MFD firefighter, Mark Mulvaney, what they needed most right now. "We're pretty good on clothes thanks to the Salvation Army and our brothers at the FDNY. What the people need now is food. A lot of them are using gift cards for the local super market. We're handing them out to residents. If somebody has a $50 gift card, they'll break it up into five $10 cards and give them to their neighbors. That's how people are in this town are. In my truck right now I got $250 worth of grocery store gift cards left. After that, I don't know, John, there's nothing." The lack of equipment has diminished their capacity to help others. The help has lost their ability to help. 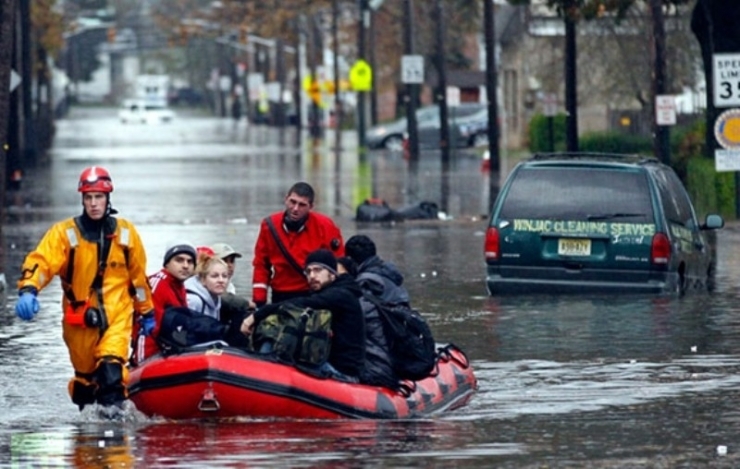 MFD's call for help has been lost in the cacophony of cries from so many displaced souls on the East Coast in the wake of superstorm Sandy. 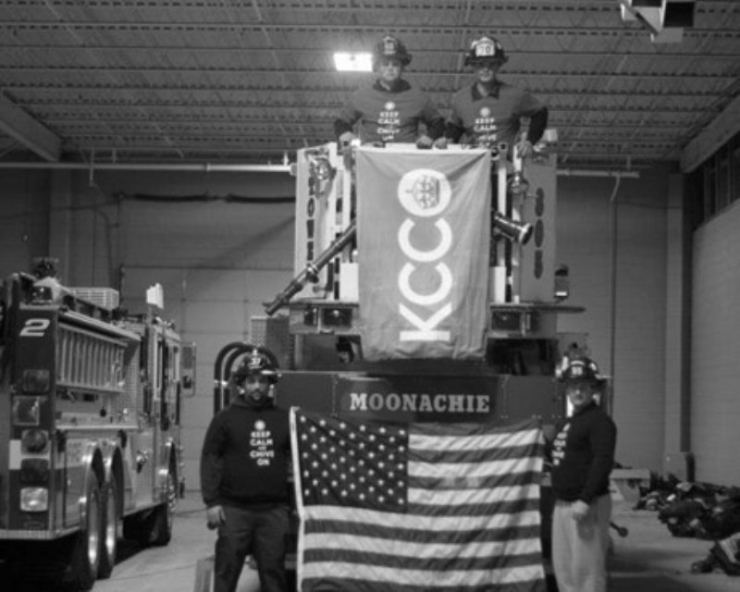 Here at theCHIVE our firefighters (and our service men and women) comprise the core of theCHIVE community. This year, I've spent countless nights with firefighters across the country and it's not lost on me that theCHIVE has the power to unite the firefighters if needed - and now is that time. I don't really know how this works, but I need you guys to grab a helmet and pass it around the station for your brothers at the MFD. Our firefighters will lead the charge. Your donation will help both the Moonachie Fire Dept. and the entire Moonachie community. 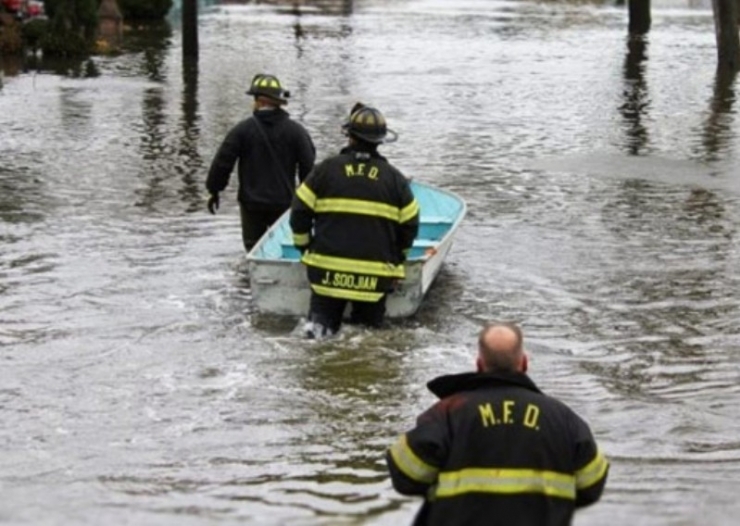 MFD will redistribute a healthy portion of the funds to help the immediate needs of the town. To help us make the world 10% happier and give back to those who bravely protect us, become a member HERE.